Want to quickly see how the open-source software PrestaShop works? You'll find a free and updated demo installation of PrestaShop here. 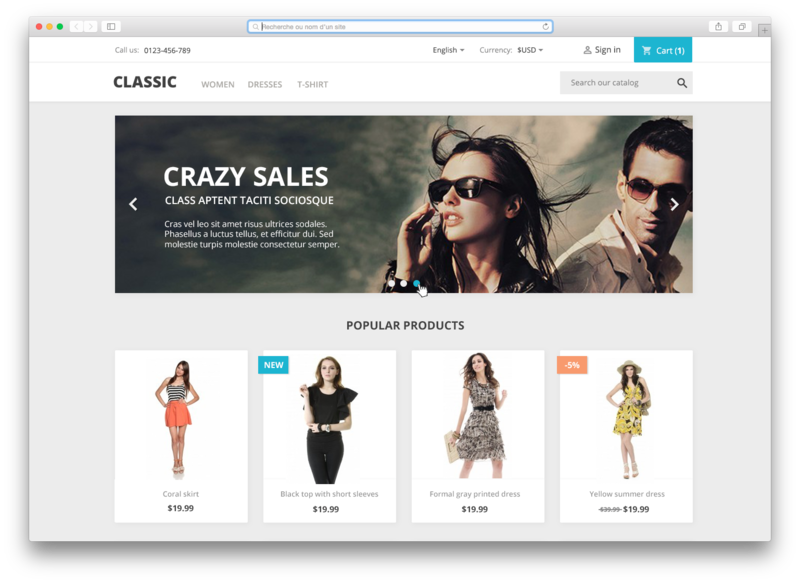 PrestaShop CMS is a free open source ecommerce solution developed using PHP and MySQL as a database. 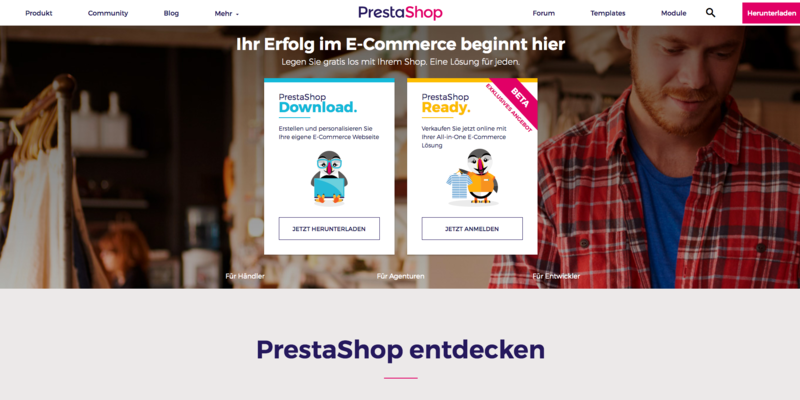 PrestaShop started of as a school project for two IT students in France under the name phpOpenStore. Initially it was available in both English and French, but only three months since its launch it was translated in thirteen languages. The founders of the PrestaShop CMS, Igor Schlumberger and Bruno Lévêque, started their company in 2007. Their success didn’t happen overnight, but in 2016 they had over 120 employees, offices in six countries, including a headquarters in Miami. The plethora of PrestaShop features and the innovative ecommerce solution it offered didn’t go unnoticed and in 2016 PrestaShop CMS received the CMS Critic Award for Best eCommerce Software. Around the world there are over 270.000 shops using this ecommerce software, being used by 0.5% of all website not only as a ecommerce solution, but also as a content management system. 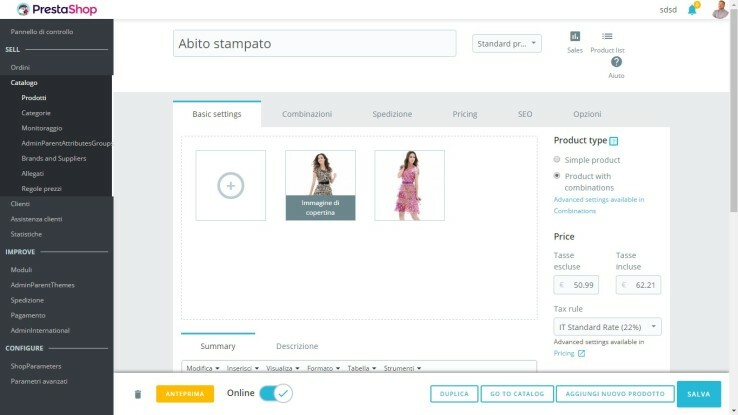 Using PrestaShop as a shop CMS allows you to manage and configure your products and store, manage your customers and sales, but also create pages with static content like an about us page or a blog. If you want to try PrestaShop online you can use the links above and the login credentials to see our PrestaShop demo. Use the site login for the backend to get a preview of an admin demo. The PrestaShop admin panel allows you to configure your shop parameters, add products to your catalog and manage your customers. You can also improve the design of the PrestaShop demo site by choosing a different theme or adding modules to the frontend. 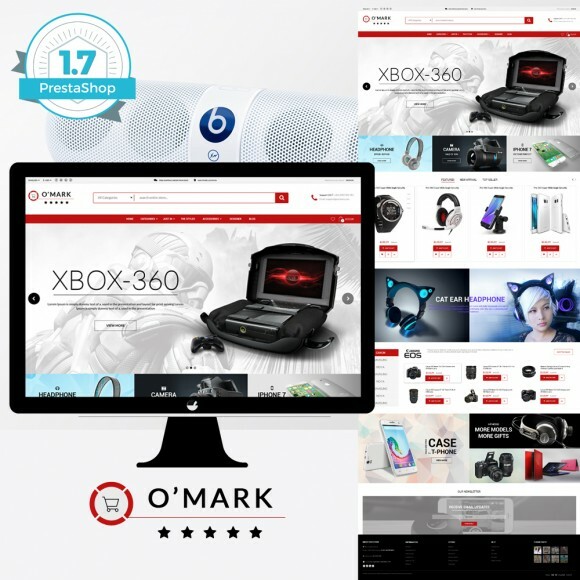 In our demo installation we have created a shop with a demo theme, but there are a lot of PrestaShop themes you can choose from to make sure the design of your website fits your branding strategy. However, if you want to get a complete PrestaShop review and see if this is the right solution for your business, you can always set up your own PrestaShop shop demo. Download the software using the link we’ve provided below and search for a tutorial on how to install PrestaShop on your server if you run into any problems. Here are the requirements to install the archive on your server and start customizing your PrestaShop shop demo in just five minutes: server space at a hosting provider, domain name, FTP client, text editor. After you’re done with the install, you can move on to customizing your PrestaShop demo site. Start by adding a few products and building your shop. 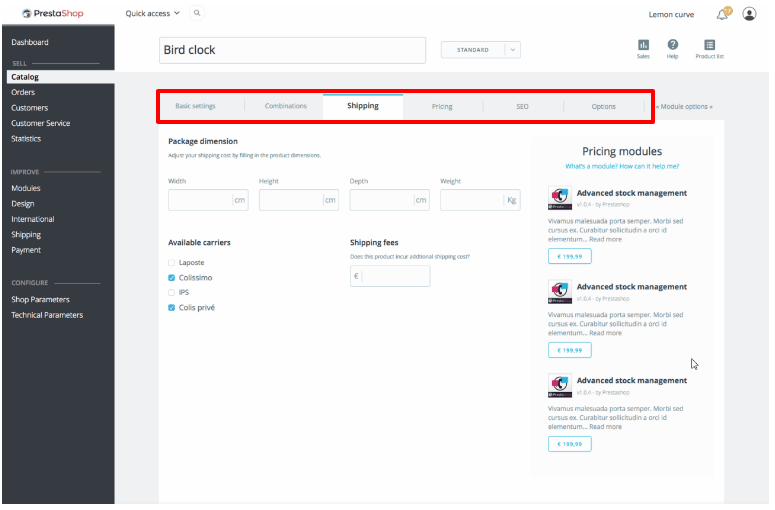 Add modules with more information on your product page and choose a page template that you like. Create a few pages with static content, or even a blog. 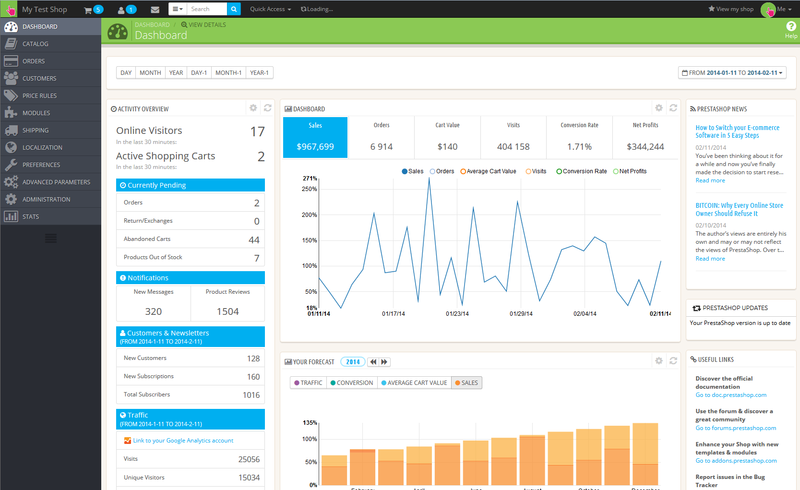 Next you can focus on the design and choosing a new PrestaShop theme for your online demo. There are a lot of free themes you can choose from, all you have to do is download and install them. As one of the world’s most popular ecommerce platforms, PrestaShop has more than three hundred built-in features that will help you better manage and grow your online business. It allows you to configure your store, manage product listing and stocks as well as shipping, manufacturers and suppliers. It offers a lot of valuable insights about your products, customers and payments, offering you all the data you need to boost your sales. Or you can run multiple stores on the same backoffice. You can also extend your shop’s functionality by installing plugins and modules developed by third party companies, or you can develop your own. Modules can be installed directly within the software administration panel. Given that PrestaShop is a free, open source software, in order to generate revenue it offers a marketplace where merchants can purchase addons or themes for their stores. This allows all store owners to customize their PrestaShop website to fit their audience. There are a lot of big brands who chose to use PrestaShop for their ecommerce needs. You can find successful PrestaShop examples in every country, especially considering the software is translated in sixty different languages. The latest PrestaShop version is 1.7.2.4 and was released on October 24, 2017. If you want to download it, you can follow the link below. The software is published under the Open Software License (OSL).